RACING…Hillman dips his tire in the Mississippi River after riding across Iowa for a week. 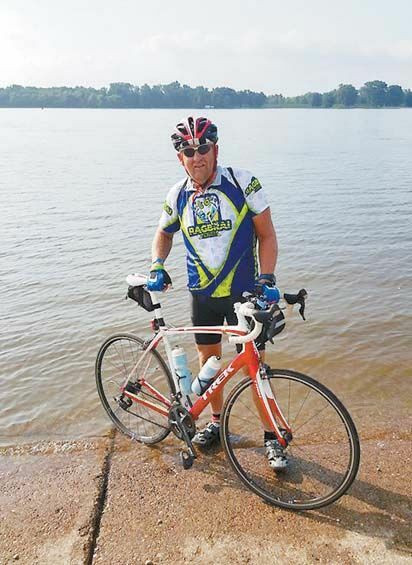 David Hillman, a local bicyclist from Cheyenne, recently participated in the Register’s Annual Great Bicycle Ride Across Iowa (RAGBRAI). This seven-day bicycle ride is the largest and longest bicycle-touring event in the world.